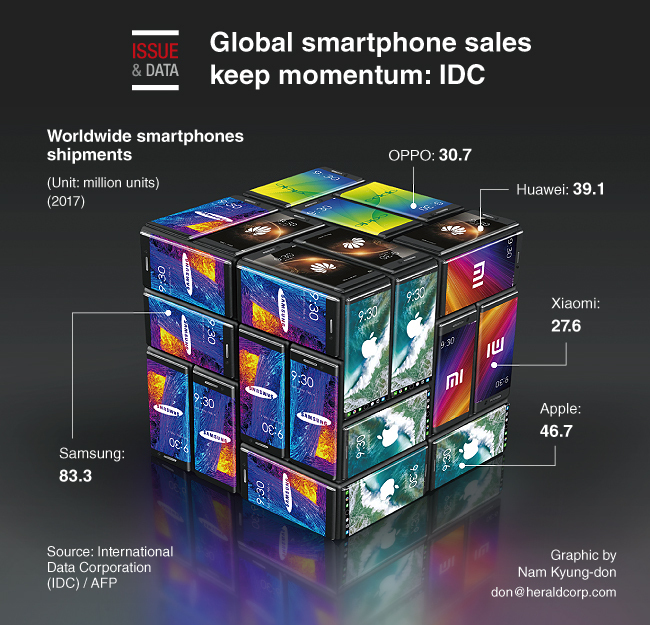 The global smartphone market has momentum going into the year-end holiday shopping season, according to the International Data Corporation. An estimated 373.1 million smartphones were shipped worldwide during the third quarter of this year, a 2.7 percent rise from the same period in 2016. The five top smartphone makers all shipped more units than they did in the same quarter last year. South Korean smartphone titan Samsung remained the overall leader, shipping 83.3 million handsets in a 9.5 percent increase from the same quarter last year, Apple’s new iPhone 8 models helped its third quarter shipments climb 2.6 percent to 46.7 million.